I chose this tree for mystery seed of the week last week because it is grown throughout the world. 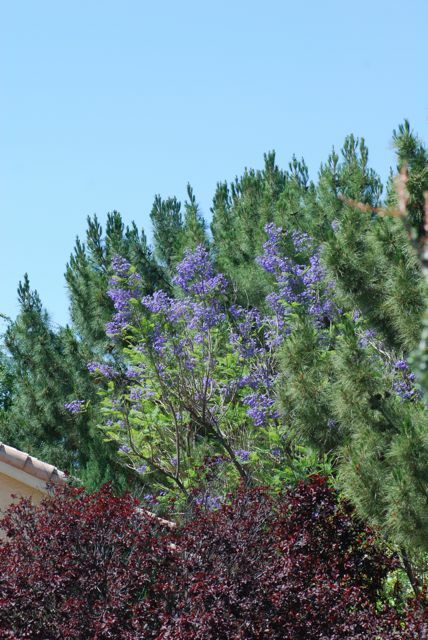 When it is flowering, the bright purple catches your eye off in the distance. 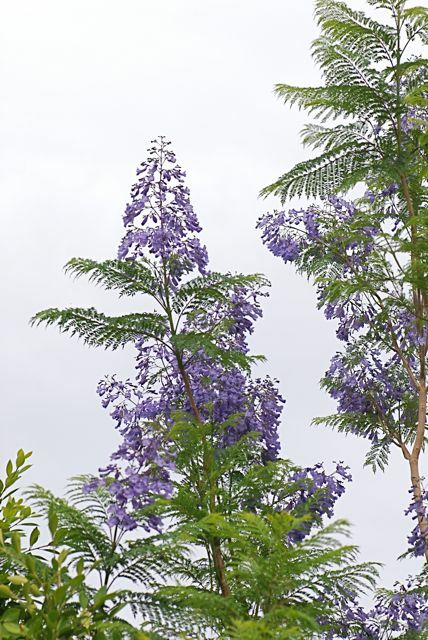 The jacaruanda (Jacaranda mimosifolia) has huge clusters of purple flowers and lacy foliage. The jacaruanda flowers are long purple tubes. It grows where there is little danger of frost, including the lower desert in Arizona. The seeds I showed last week are found within large pods. I don't have a photo of the pods. Ah, so that's what those are! We've a lot of them in bloom here right now, but I didn't have a clue what they were! What I think is cool is that you don't even notice them and then suddenly there are bright purple trees everywhere. 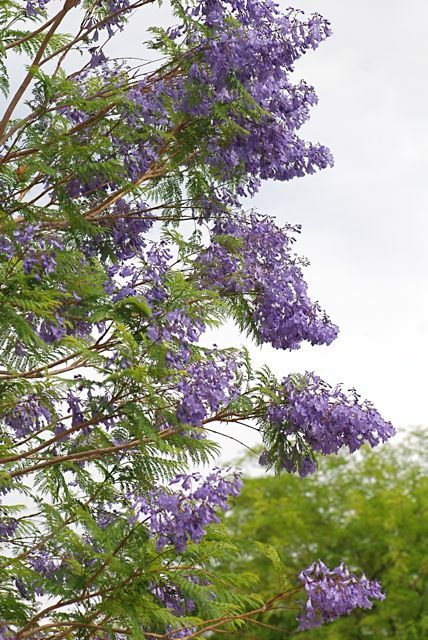 Is it Jacarunda or Jacaranda? Do they only have purple blossoms? These may not be what I am seeing locally. 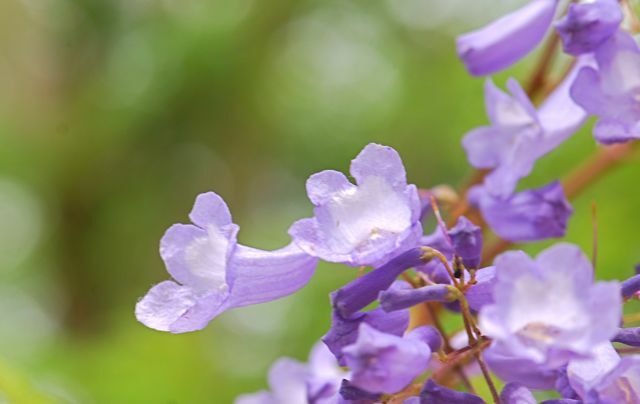 These are a bush rather than a tree and come in lots of colors, not just purple. I'll have to take a picture of one and send to you. Jacaranda - boy, where has my brain been lately. Thanks for spotting that. The bush might be Vitex.